The employees of Alfabs Engineering have been exposed to a diverse range of engineering tasks across the years. 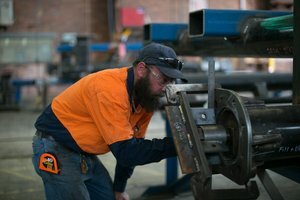 These tasks have promoted experience and flexibility, allowing Alfabs to become one of the industries leading suppliers in Heavy, Medium and Light gauge Steel Engineering and Fabrication. 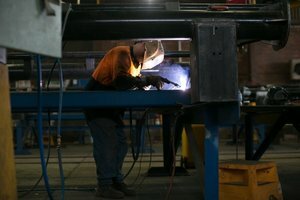 Alfabs Engineering is located in Kurri Kurri NSW. The main workshop comprises of 3000 square metres under cover, one 30 Tonne and three 15 Tonne Overhead Cranes (Two Pair in tandem) with 7.2 metres under hook. The workshop size enables the use of mobile cranes to supplement lifting capacities. 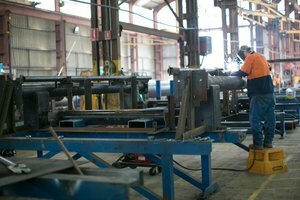 Alfabs Engineering have fabricated structures that exceed 150 Tonne sections in their main workshop. 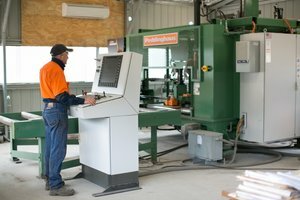 The workshop also resides on a block of land that contains five acres of suitable storage and pre assembly area. In conjunction with Alfabs Protective Coating and Transport business units, Alfabs boasts the ability to provide a one stop shop solution for all your Site Installation Projects, Site Maintenance and Repairs, Engineering, Fabrication, Protective Coatings, Blasting and Transport requirements. 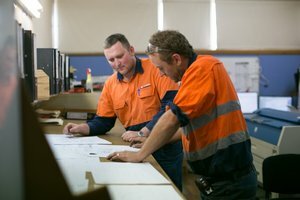 With the addition of offices and workshops in the Wollongong and Mackay regions of NSW and QLD, Alfabs has the ability to undertake work in these areas with a local approach.